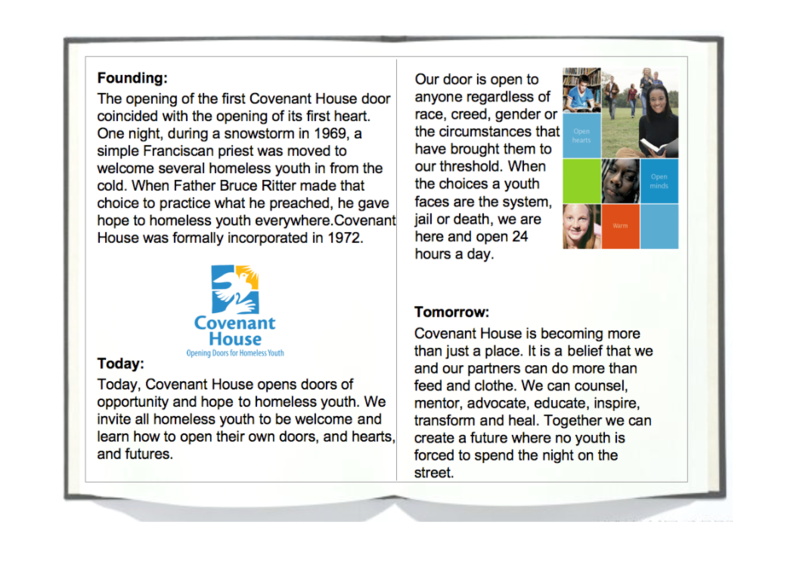 With the new “opening doors” metaphor for Covenant House, we begin to assess the visual side of their branding. The audits show that the logo and the color blue are the two elements really holding the existing system together. So we begin with the heart of the visual branding, the logo itself. The existing logo has some tremendous strengths. The dove is a powerful symbol, with many layers of meaning. On the surface level it represents freedom, taking flight, soaring above. It is also a fragile creature, needing protection. 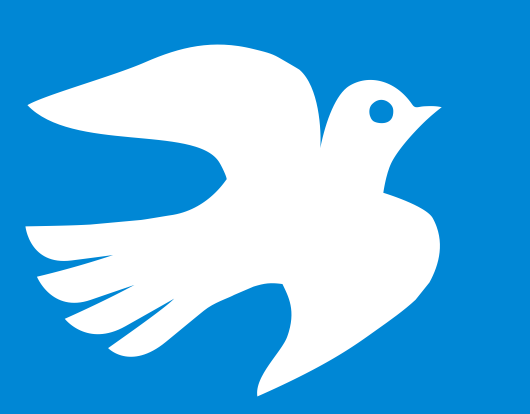 The white dove is a symbol of peace. And deep within the dove is a symbol of God’s covenant with mankind. In the biblical story of Noah and the great flood, the dove is the harbinger of the waters receding, of man being restored to the earth, of God’s renewal of his covenant. The journey to a new Covenant House logo begins with renewing the dove symbol. The dove is now in flight, it is taking wing, it is open and free. It has a warmth, a fresh spirit and liveliness. The color is a brighter, more vibrant blue. The hand is now friendlier, more approachable. The dove is no longer a bird in the hand but it either taking off from the hand or making a gentle landing for nurturing and comfort. The house is gone, replaced by a window in 4 parts. Some people read this as a stained glass window with a cross. A new symbol of hope is added to the identity, the sun on the right. And another color is added to convey the diversity and warmth of Covenant House. The tagline, “Opening Doors for Homeless Youth” adds another layer of meaning to the visual identity. It is clearly speaking to the main audience, kids on the streets. And it is signaling to potential donors the mission of the organization. 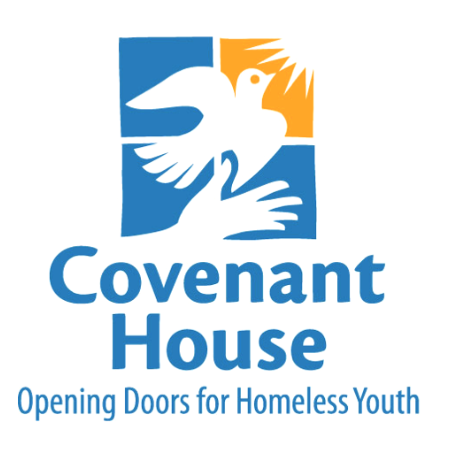 Since recognition of Covenant House is low among potential donors, drawing a clear connection to homeless youth is essential. 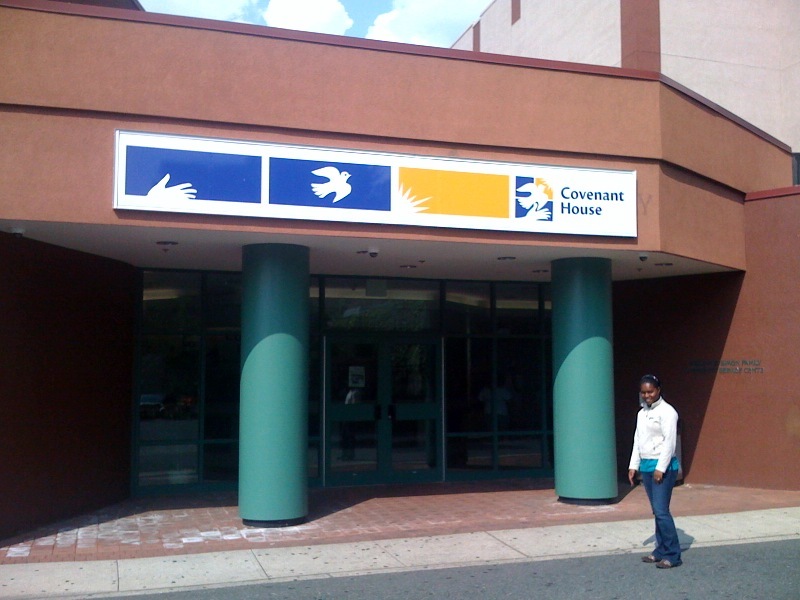 The renewed Covenant House brand identity evokes a richness of positive associations and memories. It tells about the next chapter of the organization, not lingering in the past. In research the whole of the new branding — verbal, visual, metaphorical — is stronger in engaging potential donors. 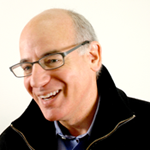 The rebranding program would never have happened without the vision, energy and enthusiasm of everyone at Covenant House, including Kathleen Fineout, Judith Nichols, Tom Manning, Jim White, Sister Patricia Cruise, Tom Kennedy and the rest of the wonderful people at Covenant House.